EVP’s beach volleyball facilities are located at 3091 Ninth Line, Mississauga, ON (see map below). EVP shares a parking lot with The Tennis School and is located just North of The Tennis School’s tennis courts. EVP’s volleyball facility was built to the highest standards in 2011 and we’re constantly improving them to better serve our clients. 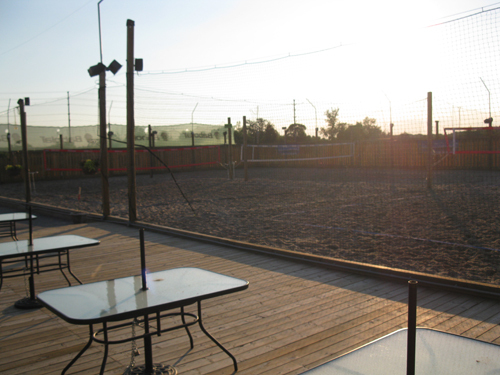 The facility includes three beach volleyball courts surrounded by netting to keep stray balls on the court. A surround-sound speaker system plays all the best tunes and the nighttime lighting enables games to be played day and night. Visit our snack bar to refuel with all the snacking essentials. 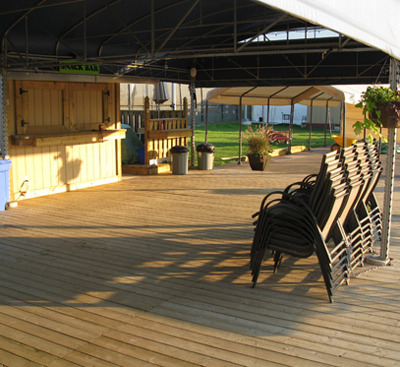 Washrooms and change rooms are available on site.